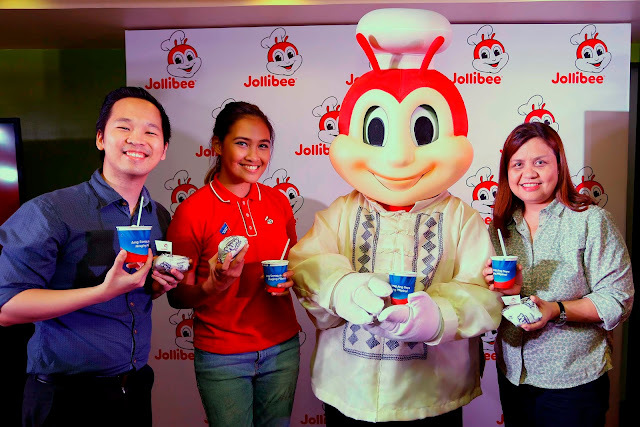 Jollibee, the country’s number one fast-food chain, highlighted the joy and pride of being Pinoy at an intimate press event last May 31, 2016, held at the Jollibee E. Rodriguez branch. Our Jollibee favorites with a #PinoyAndProud signature taste. The langhap-sarap Yum! 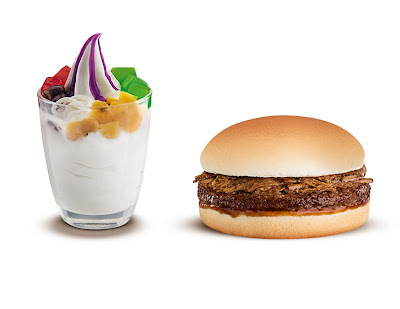 Burger made even more flavorful with real beefy adobo flakes and special adobo sauce, while the well-loved Jollibee Sundae is made more special with favorite Halo-Halo toppings such as nata de coco, macapuno, ube syrup, and more. Jollibee is #PinoyAndProud. A sneak peek of the Jolly Friends' new nationalistic attire to celebrate the Philippine's 118th Independence Day. Hetty, Mr. Yum, Popo, and Twirlie will also debut their new attires soon.